I was fascinated to learn about the recent ballot proposal in Ohio to legalize marijuana by constitutional amendment. The unusual aspect of the proposal was that it would have come with a grant of a monopoly in commercial marijuana production to specific investors who owned suitable land. Because they stood to gain considerably from passing the proposal, these investors devoted resources to getting it passed, including professional canvassers, political strategists, and even a mascot with a head shaped like a marijuana bud. Basic Public Choice teaches that legislation benefiting many diffuse constituents is hard to pass because of transaction costs. In effect, the monopoly aspect of the Ohio proposal would have granted a patent to the investors, thus giving them the incentive to overcome the transaction costs of collective action. The proposal failed, and at the same time Ohio voters passed an amendment forbidding the use of ballot initiatives for personal gain. It is interesting nonetheless to think about the economics of such “patents” for institutional innovation. Further to Peter’s post on government science funding: I just received, hot off the (physical) press, a copy of Shane Greenstein’s new book How the Internet Became Commercial (Princeton, 2015). Among the myths that Greenstein — now apparently at Harvard Business School — debunks is the idea that the internet was in any sense a product of government industrial policy. Although government had many varied and uncoordinated influences on the development of the technology, the emergence of the Internet was ultimately an example of what the economic historian Robert Allen called collective invention. It was very much a spontaneous process. And it was not fundamentally different from other episodes of technological change in history. As a student of Alfred Chandler, I was excited to see Google’s conversion into Alphabet – which is essentially a multidivisional conglomerate. 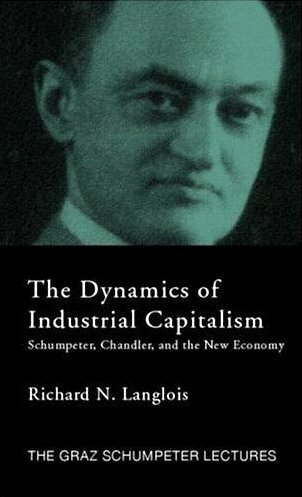 Chandler chronicled the development of the M-Form structure in the days of the Second Industrial Revolution, beginning with DuPont, and it remains an interesting question whether the same pattern will eventually take shape among the dominant firms of the Third Industrial Revolution. Generally speaking, a move to the M-Form reflects a maturing of a technology and an industry, when information flows and incentives within a specialized unit – a module, if you wish – become more important than widespread and more flexible information flows within a functional organization. The more radically innovative the company, the more important these widespread information flows. Apple is organized in a functional form, and Microsoft famously returned to a functional form after a few years as an M-Form precisely in order to become more radically innovative in the face of declining revenues from Windows. Of course, Google remains as a functional entity within the Alphabet conglomerate, and the technologies in Alphabet’s other divisions are arguably less related to one another than in, say, the divisions into which Microsoft was once divided. Moreover, Alphabet will keep the two-tiered structure of stockholding that gives considerable power to the three founders, which makes Alphabet less like a vanilla conglomerate and more like the kind of widely diversified pyramidal holding company common around the world but essentially illegal in the United States. Just ran across the abstract of a fascinating paper called “The Anti-Commons Revisited” by Jonathan Barnett at USC, which is forthcoming in the Harvard Journal of Law and Technology. Here’s the abstract. I was saddened to learn that Masa Aoki passed away on July 15. He was only 77. 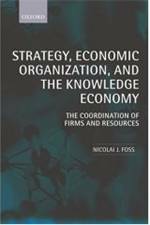 Masa was a towering figure in the economics of institutions and organizations, and a true gentleman.